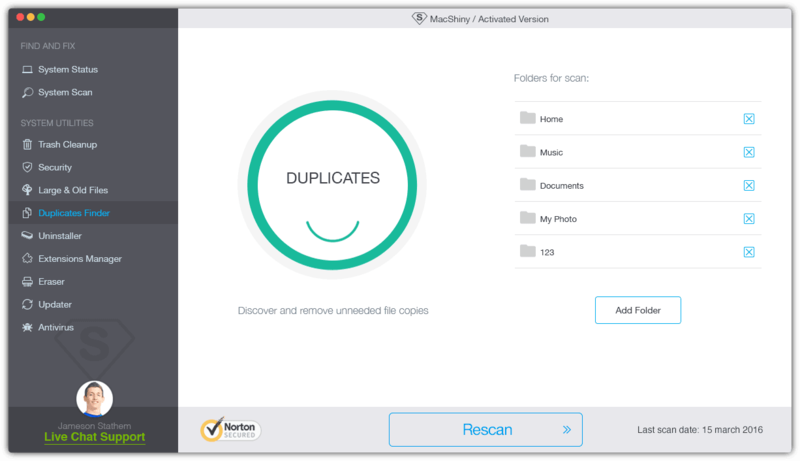 Speed up your system by getting rid of duplicate files that simply clutter up disk space. Those file copies don’t serve you at all, but might still be located in various file folders on your Mac. 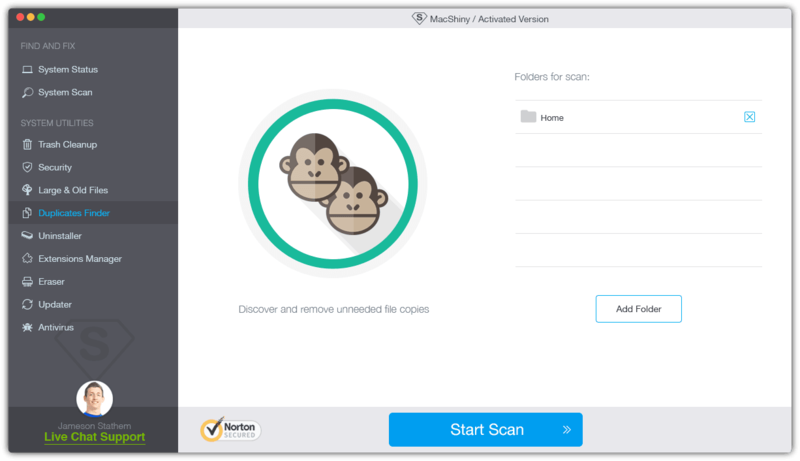 MacShiny runs a quick system scan, locates duplicates and safely deletes them. What you get is more free space and much higher speed of your Mac!